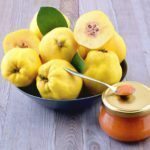 Quince is a fruit, shaped somewhat like a squashed pear, with an extremely astringent flavor when raw but a lovely aroma when ripe. 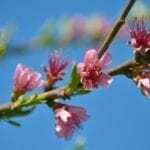 The relatively small trees (15-20 feet) are hardy in USDA zones 5-9 and need winter’s cold temps to stimulate flowering. Pink and white flowers are produced in the spring followed by fuzzy young fruit. The fuzz wears off as the fruit matures, but that doesn’t necessarily mean it’s quince picking season. Keep reading to find out when to harvest and how to pick quince fruit. Quince may not be a familiar fruit to you, but at one time it was an extremely popular staple in the home orchard. Picking quince fruit was a normal harvest chore for many families, made less of a chore when considering the fruit’s destination – jellies and jams or added into apple pies, applesauce and cider. Quince, as a rule, does not ripen on the tree but, instead, requires cool storage. A fully ripened quince will be entirely yellow and exuding a sweet perfume. So how do you know when it’s quince picking season? You should begin harvesting quince fruit when it changes from light green-yellow to a golden yellow color in the fall, usually in October or November. Picking quince should be done with care, as the fruit bruises easily. 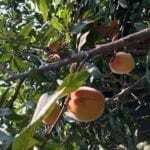 Use a sharp pair of garden shears to snip the fruit from the tree. Select the largest, yellow fruit that is blemish free when harvesting quince fruit. Don’t pick damaged, bruised, or mushy fruit. Once you have harvested the quince, ripen them in a cool, dry, dark area in a single layer, turning the fruit each day. If you have picked the fruit when it is greener than golden yellow, you can slowly ripen it in the same manner for 6 weeks before using. Check it for ripeness on occasion. Don’t store the quince with other fruit. Its strong aroma will taint others. Once the fruit is ripe, use it immediately. If you leave it for too long, the fruit becomes mealy. Quince can be stored in the refrigerator for up to 2 weeks wrapped in paper towels and kept separate from other fruit.